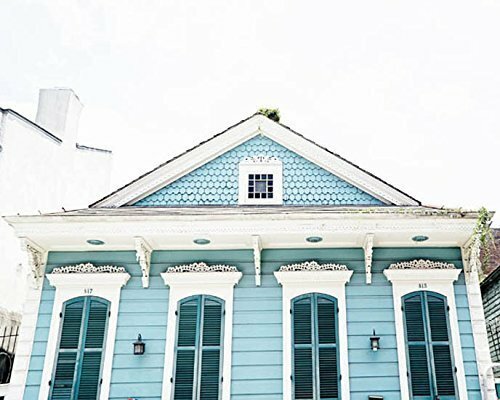 Unframed photographic print of a home in New Orleans. Printed on professional quality archival photo paper. Horizontal/Landscape orientation. Frame and mat shown are for illustrative purposes only and are not included. Available in additional listings in sizes 5x7 to 30x40. 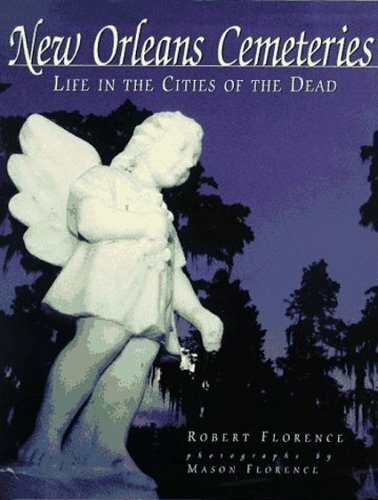 From the edge of the French Quarter to the heart of the bayou, New Orleans Cemeteries: Life in the Cities of the Dead is a journey through the Crescent City as seen through her phenomenal aboveground cemeteries. Through their artful and documentary-style color and black and white photographs, Robert and Mason Florence depict the "cities of the dead" in all their grandeur and decay, exquisite artisanship and humble memorials, their voluminous historical accounts of the city and undefinable spiritual qualities. New Orleans Cemeteries is an enchanting account of one of the world's true treasures, as enjoyable and entertaining as it is educational. 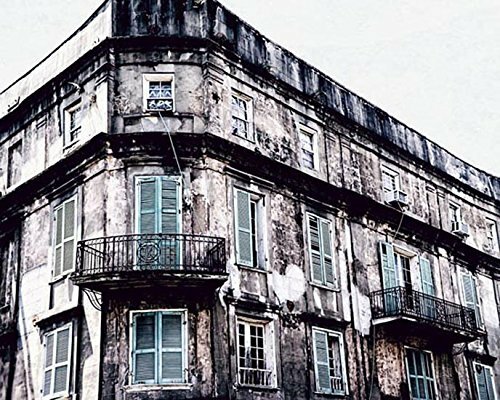 Unframed photographic print of a building in New Orleans. Printed on professional quality archival photo paper. Horizontal/Landscape orientation. Frame and mat shown are for illustrative purposes only and are not included. Available in additional listings in sizes 5x7 to 30x40. 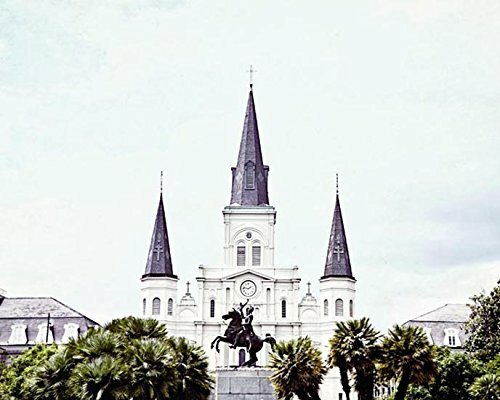 Unframed photographic print of a Jackson Square in New Orleans. Printed on professional quality archival photo paper. Horizontal/Landscape orientation. Frame and mat shown are for illustrative purposes only and are not included. Available in additional listings in sizes 5x7 to 30x40. 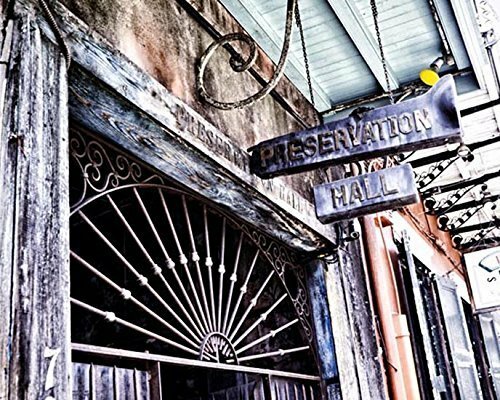 Unframed photographic print of Preservation Hall in New Orleans. Printed on professional quality archival photo paper. Horizontal/Landscape orientation. Frame and mat shown are for illustrative purposes only and are not included. Available in additional listings in sizes 5x7 to 30x40. This series of abstract expressionistic digital paintings is published in honor of the city of New Orleans, LA. 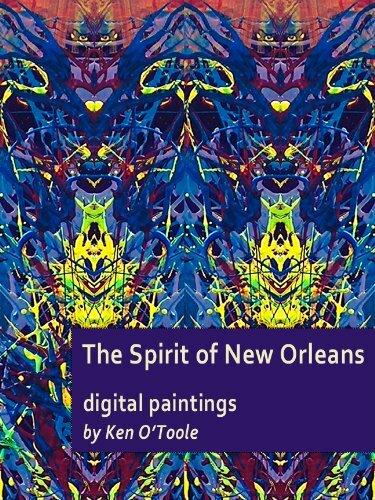 Five years after the devastating Hurricane Katrina, August 2005, Fort Worth artist, Ken O'Toole, releases his series of digital paintings constructed in August and September of 2005. These paintings reflect the spirit, love,and energy and emotion of the area. O'Toole combines his mastery of the drip-and-pour technique and color field style to create these images. Taking photographs of his original works on canvas, he manipulates the photos in a digital environment, then carefully cuts and arranges the elements to achieve a symmetrical digital collage. The results are strikingly beautiful and sublime. 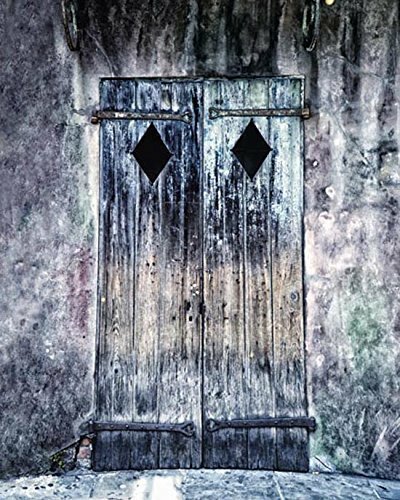 Unframed photographic print of a colorful door in New Orleans. Printed on professional quality archival photo paper. Vertical/Portrait orientation. Frame and mat shown are for illustrative purposes only and are not included. Available in additional listings in sizes 5x7 to 30x40. Looking for more Fine Art Photography New Orleans similar ideas? Try to explore these searches: Easter Pack, Chelsea Shower Rod, and Tapestry Crochet Hook. Shopwion.com is the smartest way for comparison shopping: compare prices from most trusted leading online stores for best Fine Art Photography New Orleans, Travel Wine Safe, Girl Baby Dolls Set, Orleans Fine Photography New Art . 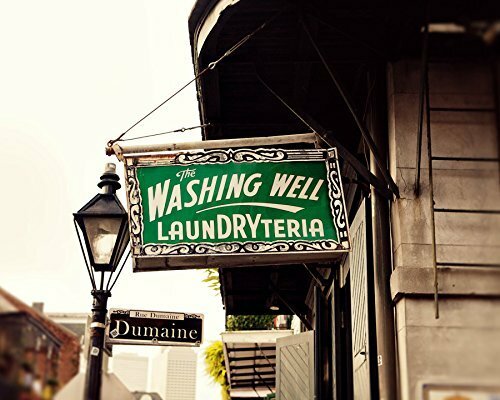 Don't miss this Fine Art Photography New Orleans today, April 23, 2019 deals, updated daily.